When a Viola Beach album was announced, I was in two minds as to whether this was a good thing to happen. When the band were taken away from their family, friends and listeners, it seemed unlikely that we would be listening to an album now. However, having heard that they had already recorded a 5 or 6 track EP along with the 3 songs released already, it would only be fitting to hear the album. It's what they would have wanted. It just so happens the album is full of catchy riffs, positive lyrics - and a slightly softer, lonelier side that I had never expected them to have. 'Call You Up' is a sombre tale of keeping in touch with someone that does not want to keep in touch with you, and making plans of wasting away with someone. Despite being called out by other sites as the weak link of the album, I would discard those comments. A lot of bands with this indie sound, that we've heard similar vibes from the likes of Peace and Two Door Cinema Club, fail to show variety and a softer side. They've done it from their first EP - now this album - and you have to give the band credit for that. Elsewhere on the album, 'Really Wanna Call' is a hawaiian-tinged tale of a popular girl. Cliched, but it's personal to them and should be respected. The vocal delivery is perhaps more personal and accent-soaked then their previously heard material, which highlights how they want to sound different and themselves. They aren't copying anyone here, they are Viola Beach. 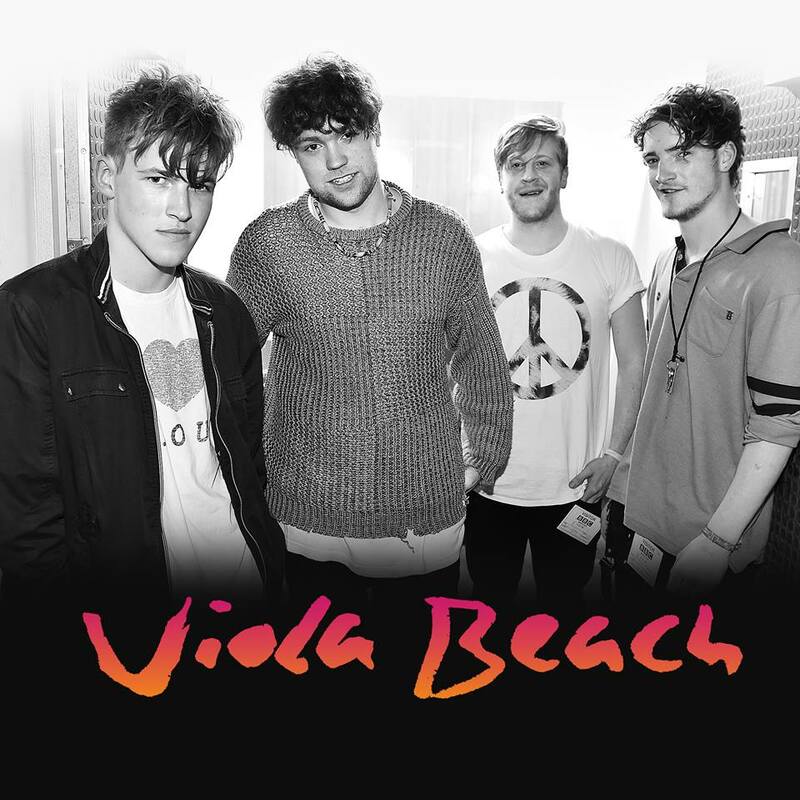 Kris, the lead singer, had explained to his mum Lisa that Viola Beach did not represent a real place, but a place where happy thoughts can bloom. This album encapsulates that, and has been put together to enshrine their optimism for the world to listen to for years to come. Positivity is something we should all value as a personal trait in the hostile and uncertain times we live in. The obvious highlights of the album are the previously heard trio of 'Swings and Waterslides', 'Like a Fool' and 'Boys That Sing'. Coldplay's tribute to the latter song was a fantastic reminder of how little credit small bands get - it is unlikely Viola Beach would be as known as they are today had they not suffered their tragic fate. This is something that I hope can change, as Coldplay do not need an interview or article written about their next album in NME, the next Viola Beach do, however. If you have the money, go out a buy the album and stream it on whatever platform you use. The more money that goes towards the River Reeves Foundation, set up by the family of Viola Beach's lead guitarist River Reeves, the better. The rating is not just because what has happened to them is sad, it is for the music and the people that made it. Enjoy, and best of luck to the family. Check out: the whole album!